Welcome to the Custer Hill Club--an informal men's club set in a luxurious Adirondack hunting lodge whose members include some of America's most powerful business leaders, military men, and government officials. Ostensibly, the club is a place to gather with old friends, hunt, eat, drink, and talk off-the-record about war, life, death, and politics. But one Fall weekend, the Executive Board of the Custer Hill Club gathers to talk about the tragedy of 9/11 and what America must do to retaliate. Their plan is finalized and set into motion.That same weekend, a member of the Federal Anti-Terrorist Task Force is reported missing. His body is soon discovered in the woods near the Custer Hill Club's game reserve. The death appears to be a hunting accident, and that's how the local police first report it, but Detective John Corey has his doubts. 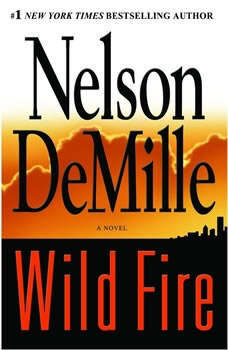 As he digs deeper, he begins to unravel a plot involving the Custer Hill Club, a top-secret plan known only by its code name: Wild Fire. Racing against the clock, Detective Corey and his wife, FBI agent Kate Mayfield, find they are the only people in a position to stop the button from being pushed and chaos from being unleashed.